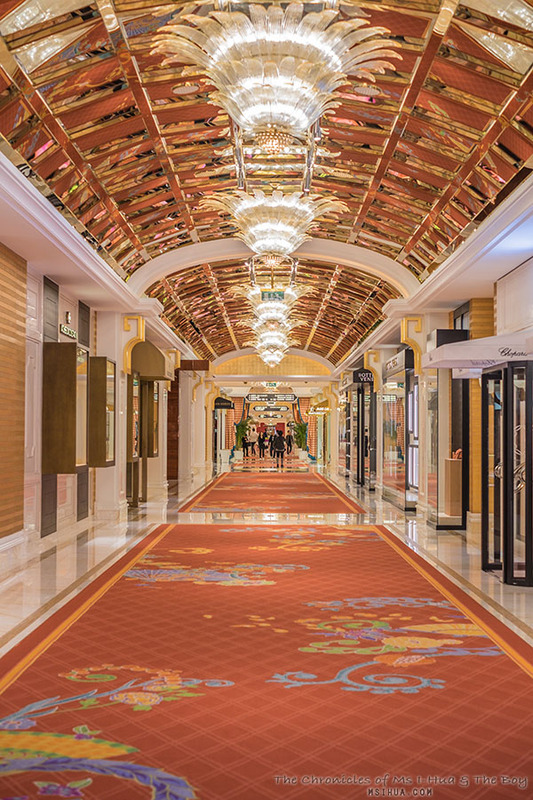 When we recently visited the island of Macau for the 2018 Asia’s 50 Best Restaurant Awards, we were fortunate enough to be invited to stay at the glamorous Wynn Palace at Cotai. Located a stone’s throw away from the Macau International Airport, Cotai is the newer and more recently developed part of Macau, much like new Vegas versus old Vegas. The Wynn Palace hotel is divided into two sections, being the North and South wings. You can choose to arrive by the usual transportation (i.e. car, cab, bus, etc), or if you were like us, take the Cable Car ride and enter the hotel via a more adventurous way. We were informed as well in the next few years, there will be a direct train service from the airport to the Cotai area, with the train station conveniently located right at the Wynn Palace Cable Car entrance! On first impressions, the hotel most certainly had a very luxurious vibe to it and the decor is a mixture of traditional and contemporary art pieces. 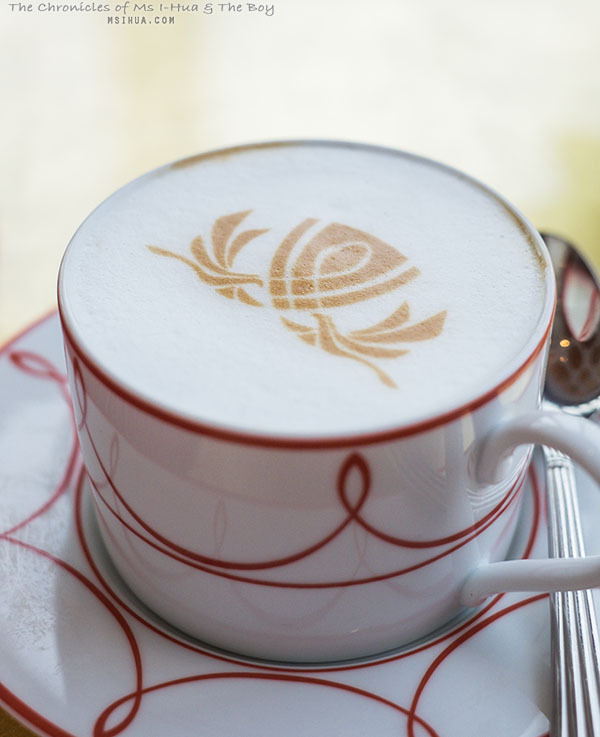 From the Buccleuch Vases (the other owner of these famed vases belong to none other than Queen Elizabeth II), to Jeff Koon’s Tulips, everywhere you look, include carefully detailed arrangements of art around the hotel. At the atrium of each lobby of both wings, are also carefully crafted large-scale floral creations custom-designed for Wynn Palace by world-renowned designer Preston Bailey. These creations often have both guests and visitors taking photos and videos due to the amazing displays. 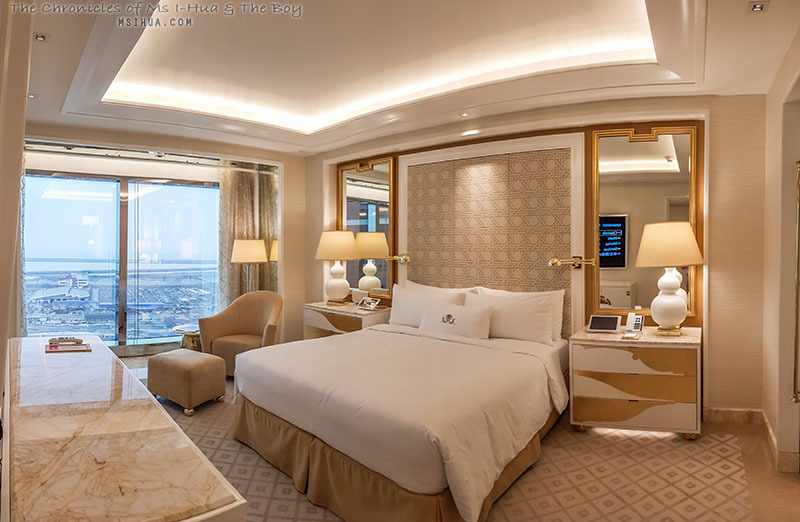 Even the room itself, bore an elegance that spoke luxury in volumes. 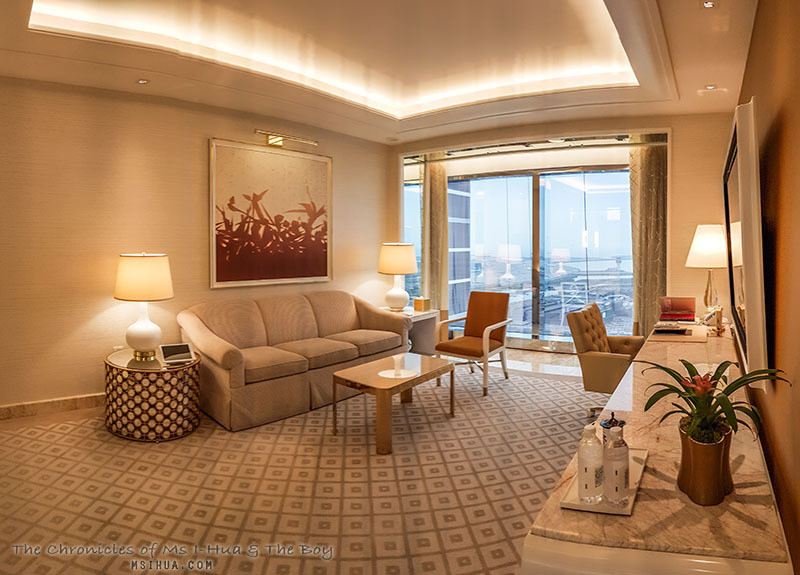 Every little detail in the Executive Suite we were provided with had attentive care taken. From the spacious living area to the plush bed, to the gold amenities in the bathroom that was connected to the walk-in robe, everything was thoughtfully designed to provide comfort to their guests. Within the Wynn Palace hotel itself, are a number of restaurants that you can visit whilst you’re there. These include both fine dining and casual dining options. If your tastebuds are attracted to the fine dining, then you may want to try out a couple of the restaurants in Wynn Palace that include Chinese, Japanese and Western cuisines. More options of casual dining are also available within the casino floor and amongst the shopping gallery of the hotel. 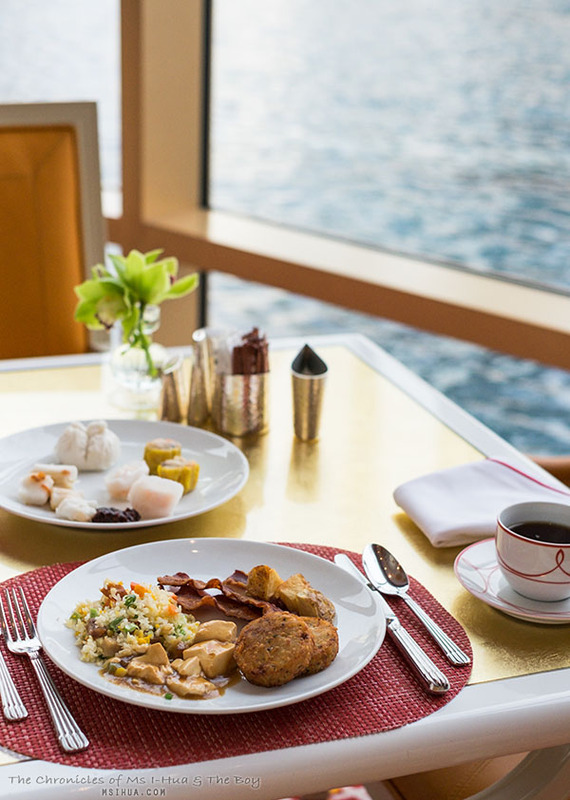 For breakfast, we step into Fontana Buffet, which has the most breathtaking views of the Wynn Palace fountains. 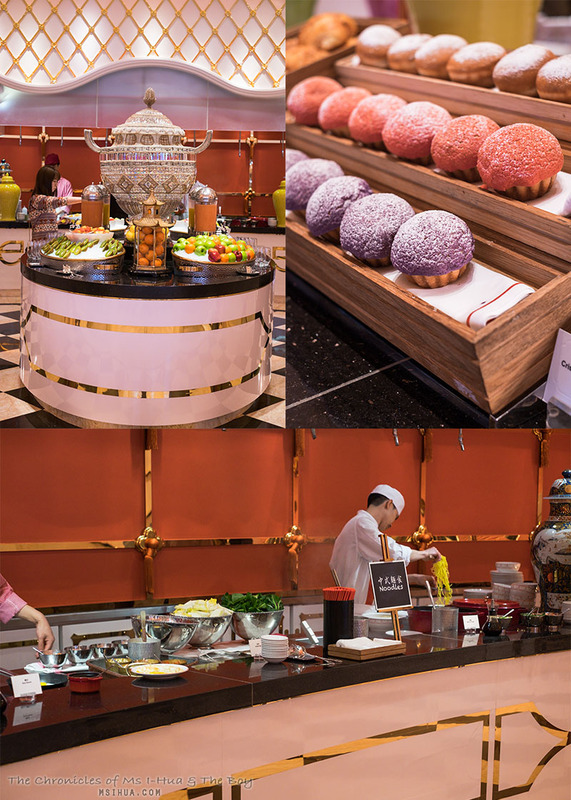 With 10 distinct stations, be sure to whet your appetite before heading out to your Macau adventures for the day. The service at the Wynn Palace was faultless, and the only thing I regret not doing during our 4 days at this hotel was that I had no time to fit in a visit to the Spa or the pool (which was closed for the event we were attending). Until next time!